As a kid, I was a Boy Scout (I am now a Scoutmaster). Everyone knows that Boy Scouts like camping. 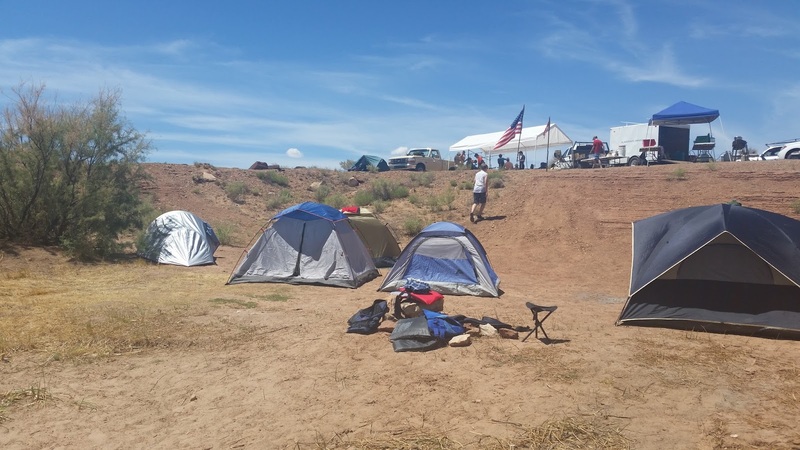 As a Scout, I did a lot of camping, and as a Scoutmaster I seem to do even more. Camping to me is “hitting the reset” button. Whether with my family, or with the troop, being in nature, makes everything better. Below are some of the things I’ve learned over my camping career (some the hard way). Pitch your tent in your garden or yard beforehand your first outing to make sure it’s all there and you know how to set it up. On uneven ground, don’t pitch your tent in a valley. That’s the first place water & moisture will pool. Always make a list of the things required, and tick it off as it goes in the pack. If it is windy, be sure to stake down your tent. Even if the tent can’t be picked up by the wind, the corner can flap like crazy. Double check your equipment before heading out. Make sure the gas stove works, you have fuel for it, you have batteries for the flashlight, etc. Pre-prepared meals can save a bunch of time. If you make up your dry pancake ingredients beforehand, you will only have to mix in the wet in the morning. A hotel bar of soap inside an old pantyhose leg hung by the water faucet is a convenient place to keep it. Not only does your soap not get lost, but the pantyhose act as an abrasive to help clean your hands. Take spare tent pegs and invest in good pegs that won’t bend easily. Consider a site with good facilities for first timer camping experiences. 2 words: extra batteries. Nothing worse than being out camping with a dead flashlight. Take extra plastic bags for wet clothes, wet shoes, trash, etc. Remember to bring a can opener. I always keep a military style P38 in my bag and mess kit. Being close to the camp toilet, while convenient, isn’t always the best spot. Try to camp up wind. Duct tape. Always take this. I’ve repaired tent fly, splinted broken poles, mended cooking utensils, repaired canoes, the possibilities are endless. In stead of bringing a whole roll, I wrap a fair amount around an old piece of PVC pipe. What camping tips or lessons do you have? Comment below. Before you do, be sure to sign up for our newsletter. As an assistant Scoutmaster, I have the opportunity to do a lot of camping. I love being out in the wild with the Scouts; it makes me feel younger and I get quality time with my son. We do a variety of camping, from “dump-outs” to “backpacking” trips. I love both types of camping and always look forward to the next one before the current trip is even over. Every scout is responsible for all his gear. 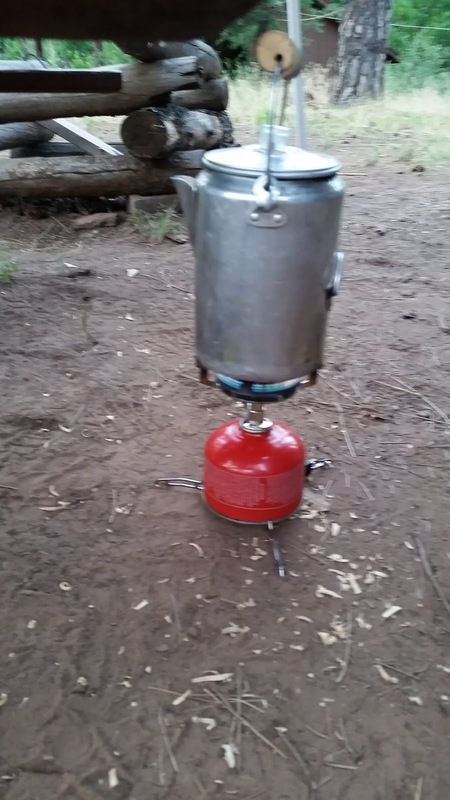 Cooking on a backpack stove is always interesting. Dump-outs are great trips with the scouts for a number of reasons. Plenty of man power to get everything done. There are almost always enough supplies. We usually attract more scouts – which is always entertaining! When we do our dump-outs, we bring the troop trailer which has everything under the sun in it. We have at least 4 dutch ovens, multiple cooking sets (utensils, pots, bowls, etc), food gets stored there, wash bins, extra TP, rakes, shovels, propane, you name it. Which brings me to the question: How much is too much? With a dump-out, all the gear (and usually scout gear included) is pulled in a 10′ trailer. We usually have a larger group so loading & unloading isn’t an issue. The scouts usually prepare some really good meals with all the coocking gear as well! Did we use that 20′ canopy in the trailer? You bet! it was a hot weekend and it provided some much needed shade. Some of the leaders were able to bring cots for in their tents, a few EZ-Up canopies were also brought. We were quite comfortable. BSA regulations won’t allow a scout to carry more than 25% of his body weight in his pack. This can be an issue for some of the smaller guys. It really makes you look at your gear to see what is truly essential. It comes down to how much gear does it take to be comfortable? Nobody wants to go camping and be miserable (well maybe a few people). My advice is to bring what you think you’ll need. Would you being a cast iron pan on a backpacking trip? Probably not. Are you going to rake your site upon departure? Probably not on a backpacking trip. I also recommend bringing things that can serve multiple needs. Do you need a bowl, pot, & plate on a back pack trip? I suggest eating straight out of the pot if it’s just you. Less to clean too! For a list of camping essentials, click here. What are your essentials? What have you taken on a trip that you wished you hadn’t?